Hunter Watson has had a superb career in the sport – a good class athlete from the age of 15 at school in North Berwick, he went on to play a significant part in the world of athletics in Aberdeen. He ran with and against some of the very best, maybe particularly during his time at Edinburgh University, and at times defeated them. As a coach he has developed and worked with international athletes and as an administrator he was for many years an essential part of the Aberdeen AAC committee. 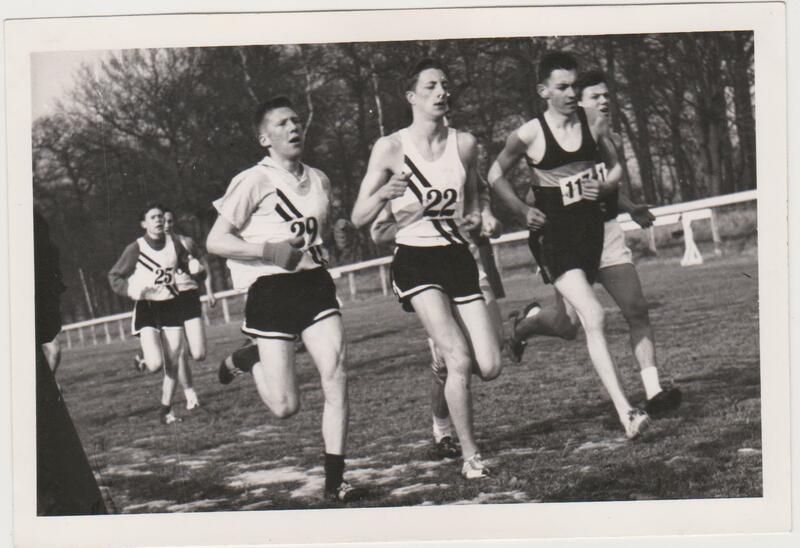 To start with, Hunter did not realise that he had any talent for running until, at age 15 in 1951, he won the half mile for fourth year pupils at the East Lothian inter-school sports. He had been surprised to be selected to represent North Berwick High School at this event because not only had he never run in a half mile race previously but he had not even finished in the top three in any race at the school sports in which he had competed! He assumes that he was selected to run in that half mile race as a consequence of getting back to the school first when on one occasion the fourth year boys were asked to run round North Berwick Law during a games period. Presumably that made the games master confident that Hunter Watson would not make a fool of himself, and hence the school, in a half mile race. Wondering whether, if he could win an inter-schools half mile without doing any training, what he might capable of accomplishing if he did do some training. Three years later he found out. As a student at Edinburgh University, Hunter had a very good cross-country season in 1953/54. He says that on the Wednesday afternoon of the first week of term there were trials for various sports. He was tempted to go to the trials for the rugby team since he had been rugby captain at North Berwick High School. However, he decided to go to the cross country trials instead. That decision had happy consequences since, during the 1953-54 cross country season, he won the Eastern District Youth Championship on 6th February and subsequently finished second in the National Youth Championship. 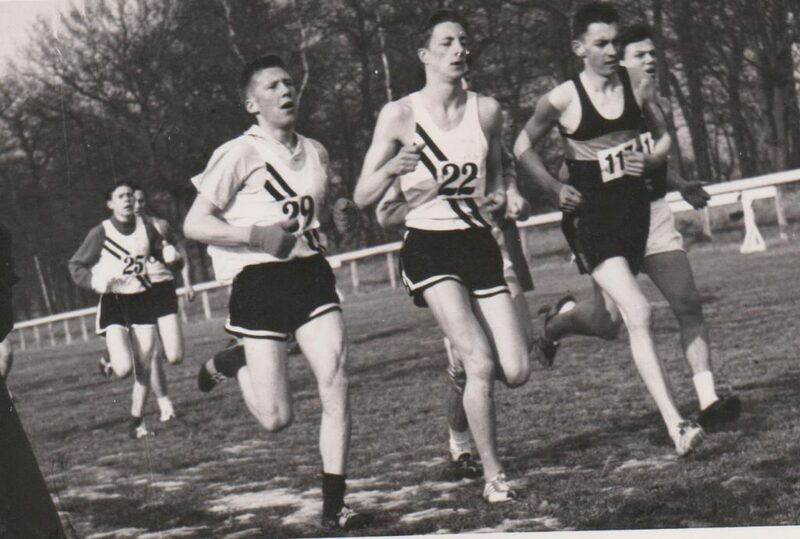 In the February issue of the excellent ‘Scots Athlete’ magazine, Emmet Farrell commented that the National Championship in that age group would probably be between Gordon Kerr of Victoria Park and Ian Cloudsley of Shettleston but added, “yet there are good reports from the East of WH Watson (Edinburgh Varsity) ..” Hunter lived up to the billing by finishing second in the race to Cloudsley, being only two seconds down on the winner. and four seconds ahead of the third man in a very close finish. The 1954 track season was to be a good one and Hunter has no doubts that the training he did for the cross-country benefited him greatly. 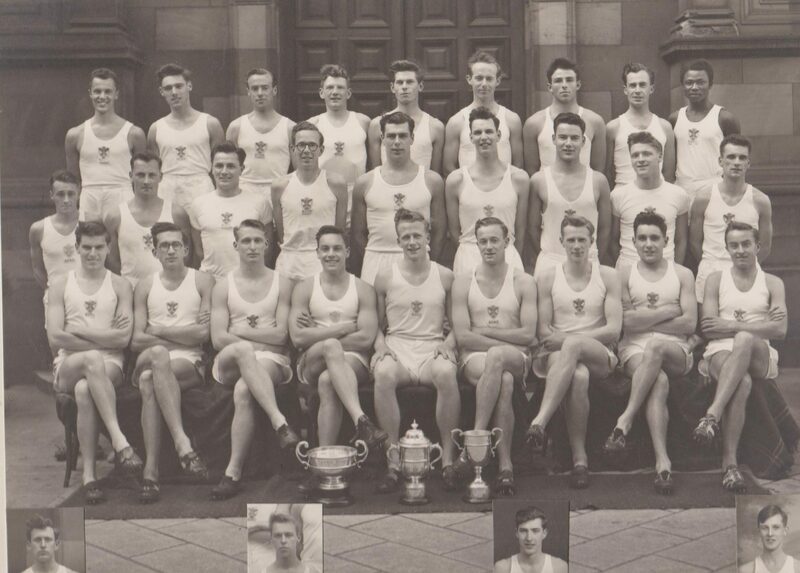 Hunter did not win any individual events during the 1954-55 cross country season but was invariably a counter in the Edinburgh University Hare and Hounds team that did win several team titles then. As a consequence Hunter was awarded a blue from Edinburgh University for cross country. 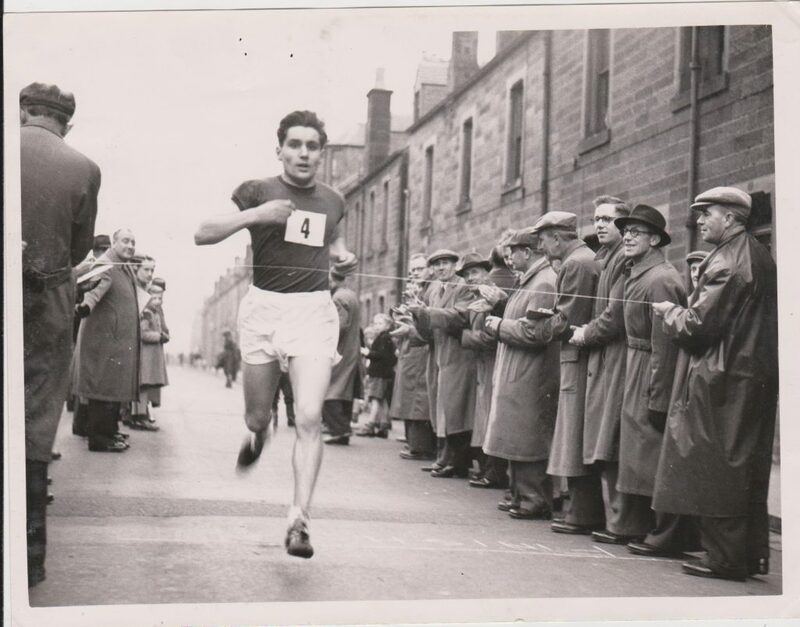 In summer 1954 Hunter not only won the Scottish Junior Mile Championship but he also finished fourth in the AAA Junior Mile too. His time in that event was 4:21.6, a time which put him tenth equal on the list of the ten fastest British Junior Milers of all time. (At the same age Roger Bannister’s fastest time was 4:23.4.) The season had started well with a match against Victoria Park AAC at Craiglockhart in which Hunter won the Mile in 4:34.1 and when he won the SAAA Junior Mile at Westerlands on 3rd July, James Logan wrote in the ‘Scots Athlete: “The Mile was won easily by W Watson, the Scottish Youths cross-country runner-up, who strode out very strongly in the last lap. 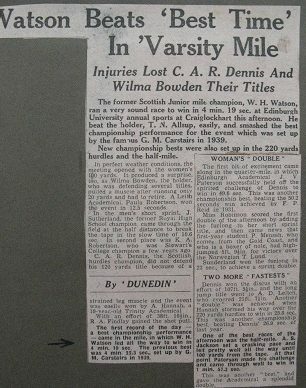 With developed confidence he is capable of a much faster time than his winning one, which was very good considering the wintry conditions.” The September issue of the same magazine listed Scottish best performances and Hunter was fifth for the Mile with 4:21.6, a time run at Birmingham on 31st July. The University team in 1954 with runners like Hunter, Adrian Jackson, Horne and Miller was very successful winning the East District cross-country relay in November and the championship in January 1955. Came the National championship at Hamilton and Hunter was eleventh in the winning team in the Junior race. 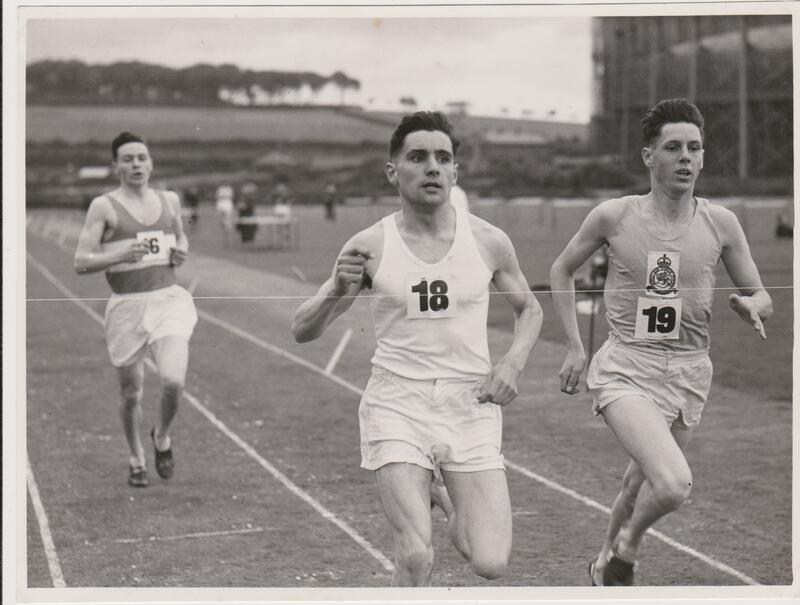 During the 1955 track season Hunter’s principal achievement was his win in the mile at the East of Scotland Athletic Championships. His winning time was 4:18.1, a time that bettered the previous best performance of 4:23.3 by just over 5 seconds. Between 1951 and 1953 there had been a steady improvement in Hunter’s performances which was a consequence of regular training. Perhaps the most significant accomplishment during that period was his win in the junior mile handicap race at Edinburgh Highland Games on 22nd August, 1953. Running from a handicap of 100 yards, his time was 4:26.9. Prior to that race, Hunter had not been a member of any club. Within minutes of his win, however, he was invited to become a member of Edinburgh Eastern Harriers. The invitation was accepted. Injury had curtailed his participation in the 1955/56 cross-country season but he did finish eighteenth in the National Junior championship. The subsequent 1956 track season was to be Hunter’s best. 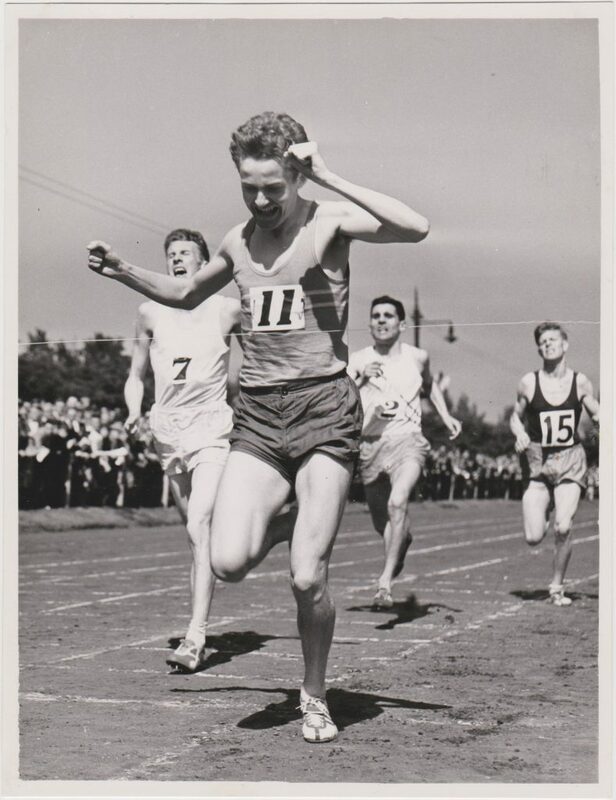 On 12th May 1956 in the regular match with Victoria Park, he again won the Mile, this time in 4:24.8 and a week later, 19th May, in the University championships at Craiglockhart, “WH Watson, a former Scottish Junior Mile Champion, returned a Mile record of 4 min 19 secs.” This was a feat that produced mixed feelings in Hunter. 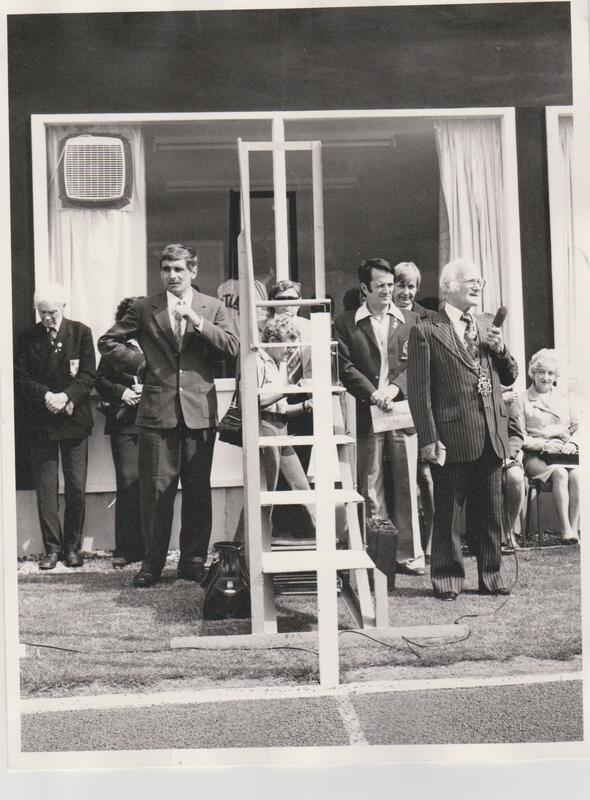 He had won the title in a time that had taken 3.3 seconds from the existing record, set by the wonderful Morris Carstairs, and yet the university trophy which went to the athlete judged to have set the best performance of the meeting. The cutting below seemed to think Hunter’s was the top performance. This went to Paterson who had set new championship records in the 440 and 880 yards. The half mile was interesting in that Adrian Jackson, whose eye was maybe on an invitation to an up-coming 5000m in Helsinki, ran and pushed the winner to the record. It is possibly the only half mile that Jackson ran but if it was part of his preparations for Helsinki, then it worked – he won there in 14:13.6. Hunter continued to run well and at the Scottish University Championships he won both Mile (4:34.3) and Three Miles (16:04.3) titles. “In the much-publicised Mile, the less fancied men must have been surprised to find themselves in the company of the giants at an advanced stage of the race. With a very fast ‘half’ to his credit earlier in the season, JR Cameron, Thames Valley Harriers, might have been expected to make a very strong final challenge, but Everett commanded affairs immediately the break was made at the second last bend, and, indeed, it was WH Watson who came on in determined fashion to take second place..” The winning time was 4:16.1 and Cameron ran 4:21.0. It was indeed a very good run by Hunter if we note that Cameron had run a 4:07.0 Mile on 21st September 1955, and Everett had set a new Scottish record for the distance on 9th June, 1956. 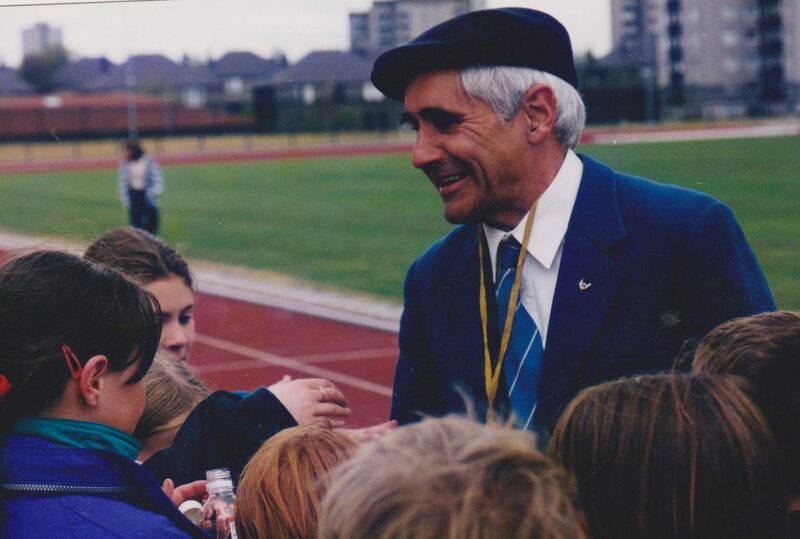 Hunter’s performances on the track while representing Edinburgh University in 1956 led to his being awarded an athletics blue to be added to his cross country blue. At the start of the winter in the East District league match at Dr Guthrie’s School on 20th October, the first three to finish were Jackson, Watson and JV Paterson and the team won comfortably from Braidburn. Paterson, Horne, Watson and Jackson also won the East District relay on 3rd November in Perth before the Edinburgh to Glasgow relay at the end of the month. Hunter ran the first stage, finishing seventh this time and again it was a forecast of the team’s final placing – seventh. Meanwhile in the same race, Edinburgh Eastern Harriers (whom he had joined in 1953 before starting at Edinburgh University) were making their first appearance, finishing fifth and picking up the medals awarded to the most meritorious performance by an unplaced team. Hunter missed the closing championships of the cross-country season – District and National – due to injury. He again represented the University in the Edinburgh to Glasgow in 1957 when he ran the difficult second stage against some of the very best men in the race. By 1956 Hunter was gaining experience of committee work as a consequence of having been elected to the club committee of Edinburgh Eastern. When, on 27 March 1961, Edinburgh Harriers, Edinburgh Northern Harriers and Edinburgh Eastern Harriers amalgamated to form Edinburgh Athletic Club, Hunter was elected unopposed to be Edinburgh AC’s first cross country captain and hence to be a member of the Edinburgh AC committee. In 1957 Hunter graduated from Edinburgh University with a First Class Honours degree in mathematics. and in 1959 he graduated from that university with a Master’s degree in education. He then taught secondary school mathematics for six years before moving to Aberdeen in 1965 in order to become a lecturer at Aberdeen College of Education. While in Edinburgh however he kept on running, and running well, over the country with Edinburgh Eastern Harriers and then Edinburgh AC. On the track the two medals in the East District championships were noteworthy. In May 1960 he was second in the 880 yards, behind Neil Donachie and in May 1962, second again, this time in the Mile which was won by Chris Elson. In the SAAA championships at the end of June there was another very good run when he was third in the 880 yards behind Morrison and Clark. Fortunately for the sport and for Aberdeen AAC, he did eventually find the time to continue coaching youngsters interested in middle distance and cross-country events. He did no courses for athletic official status, either track or field, but he has in his time so far officiated at every event on the calendar except the pole vault. He has even acted as starter and on one occasion officiated as such at a Young Athletes League final at Meadowbank. Hunter is extreme right of second back row. 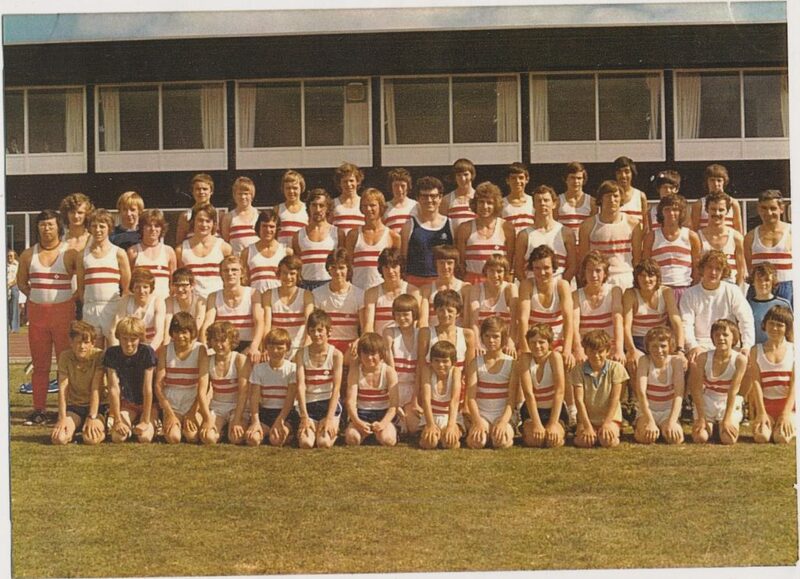 Also in that row are Fraser Clyne, 8th right, and Graham Laing, 3rd right, both ran in the Commonwealth Games: Graham in ’82 and Clyne in ’86. Also in the picture is Mel Edwards, 6th right. “That led to me organising a few events for youngsters at Linksfield Stadium where the club trained. On two occasions I also, without club support, took youngsters to compete in events at some distance from Aberdeen. Their performances were such that it seemed obvious that much could be gained by establishing a Young Athletes Section within Aberdeen AAC. The club secretary gave me the go ahead provided that this section could be self-financing. On that basis I took the necessary steps to establish a Young Athletes Section. Parents were willing to assist me as were two senior members of the club. The following year he was elected club secretary. He remained in that post for twenty years. After he stepped down as secretary he was made an honorary member of the club and he continues to take an interest in it though no longer plays any active part. While club secretary, however, Hunter spent a vast amount of time on club business. He not only performed the normal secretarial duties but he also coached athletes, acted as a team manager, helped to organise road races and convened both athletic and cross country meetings. As far as he was concerned, being secretary of Aberdeen AAC was as much a competitive activity as was being an active athlete. In 1991 the City of Aberdeen presented Hunter with an engraved rose bowl which is now displayed in his home. “My first definite memory of Hunter was at a committee meeting in 73 or early 74 where Hunter had been invited to put forward his suggestion for a Young Athletes section in the club. At that time AAAC had a pretty small membership (probably no greater than 50), predominantly composed of seniors and mainly interested in running, generally of the long distance variety. His proposal was accepted and Hunter became the secretary of the YA section. In 1975 he was elected to secretary of the full club, a post he was to hold with distinction for 20 years. Our paths almost crossed a few years earlier, as Hunter is fond of mentioning to others when we meet at the track. We both came to the fourth leg on the E to G relay in 1971 from opposite ends of the distance spectrum. Hunter was running for AAAC and I was representing Aberdeen University. We never saw each other during the race but Hunter recalls that we ran identical times for the four mile leg that day. Over his tenure the club was to grow (about 500 members at its peak) and become more of track and field club and AAAC would regularly qualify for the Young Athletes final. 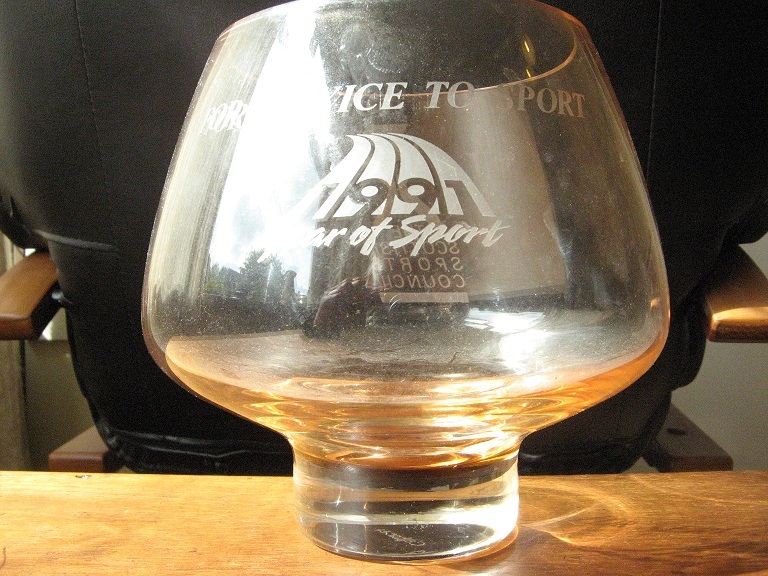 The men’s team went on to win the Scottish Athletics League finally in 1995, much to Hunter’s satisfaction. On the team bus to the final match at Meadowbank that day went a team of athletes ( not a single one of whom was doubling up in an individual event), substitutes (just in case) and Hunter. When victory was confirmed, there was an overwhelming desire that it should be Hunter to whom the cup be presented. I seem to remember that we couldn’t find him in time but there will be a photograph of Hunter and cup surrounded by the entire team somewhere around. Possibly his most important legacy will be that he managed to persuade Aberdeen City Council that a Track and Field club our size in a city of our size couldn’t hope to develop without an eight lane all-weather track. The University track at Balgownie had fallen into disrepair and had only been built with seven lanes anyway. The argument we hadn’t had a home match in the first fifteen years of the Men’s League, amongst others, seemed to have some force and the surface at Chris Anderson stadium was opened in1989. Aberdeen AAC yearbook no 4 (1993) records that Hunter held several AAAC veterans’ club records. These were M40 bests for 800m (2-01.1) and 1500m (4-08.0) set in 1976 and 1977 respectively and the M50 800m of 2- 14.7 set in 1986. He did show me one of his training diaries, where he recorded the miles covered running (no surprise) but also interestingly in addition the distances he covered cycling and walking. After retiring from his post as Secretary, Hunter continued to take a great interest in the activities of the club and in recognition of his many services he was to become one of the first four inductees as Life Members at the AGM of 2007. He still frequently attends home league matches, the latest the first meeting of the Scottish League just yesterday (06/05/2017). He would often cycle from home to the meeting (I’m not sure whether he still does), but if one were to look around the stadium and spot a yellow fluorescent jacket topped with a shock of silver hair then the thought would be “ Hunter’s here again”. Words to describe the man? Enthusiastic, dedicated and meticulous aren’t really enough. More generally, Denis says of Hunter that “he was very pro the club and the athletes he coached. He was known to try to persuade team managers who had already selected their team to ask a selected athlete to give way to his athlete. At one Young Athletes League meeting he was appalled that a track official representing the club had done his job properly and disqualified Aberdeen for an illegal change-over.” The last bit makes him sound like any coach in that situation! Hunter beseiged by youngsters at the end of a primary schools sports meeting in Aberdeen in 1994. He had initiated this event several years previously in order to interest youngsters in athletics. That this reaped a bigger harvest than just bringing athletes to the club is seen by the recruitment of parents as top class officials. For instance one of those who joined as a consequence was Mark Davidson who was a silver medallist in the 1990 Commonwelath Games 4 x 400m relay. His own event was the 400m hurdles where he won the Scottish title three times, he also won the indoor 400 metres flat twice and set many records. His father – Jim Davidson – became a grade one timekeeper who officiates at local meetings. 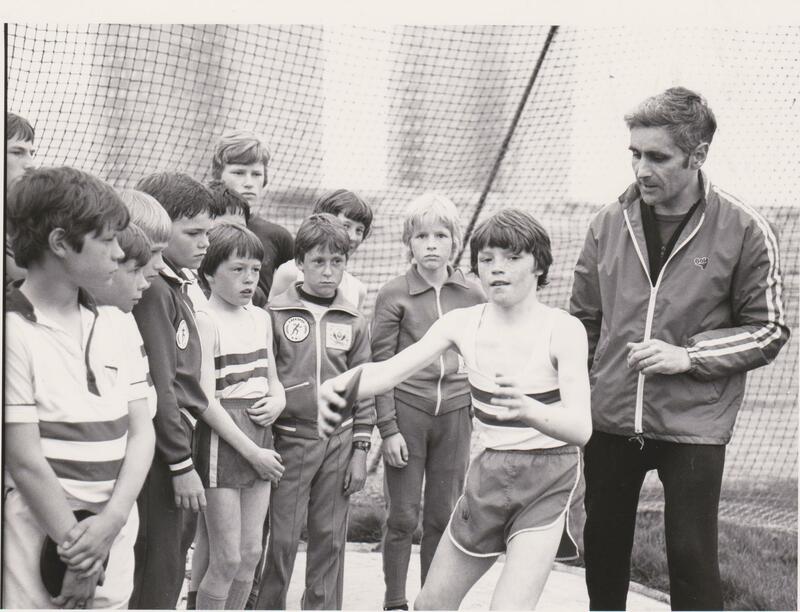 Similarly when Duncan Matheson (six Scottish titles outdoors, three indoors, 2nd AAA’s indoor heptathlon plus the two Commonwealth Games) became a club member both his parents got actively involved: father Miller is still a coach at the club, and his mother became a grade one field judge. She officiated at the 2014 Commonwealth Games in Glasgow. When Hunter stepped down, the club president Trevor Madigan took over the task of organising the Primary Schools Athletic Meeting, and this year (2017) Hunter’s daughter-in-law Ruth Watson, kept the family connection going when she was responsible for it. At the conclusion of a girls international match in 1976. Hunter had persuaded the Aberdeen and Grampian Regional Councils to jointly make available the sponsorship. It went on to become the Celtic International. Hunter is standing beside the timekeepers stand. Although Hunter was heavily involved with club organisation and administration after he became club secretary in 1975, he did manage to put in some useful performances at competitions. For instance on 12th August, 1973 at the age of 37, he ran 1500m in 3:59.5 which ranked him twenty second senior in Scotland. This was done while representing Aberdeen AAC in Division 1 of the Scottish League where he finished third A String and fourth overall – among those who finished behind him was Hugh Barrow of Victoria Park. Thereafter, notably in 1976 he had a series of good runs. In that year, on 30th May, and having turned 40, he won the Scottish Veteran’s 800m title in a championship record time of 2:01.1. In the world rankings for 1976 that time of 2:01.1 placed him 9th equal in the 40-49 rankings for the 800m. It stood as a Scottish vets best for the distance until 1993 when clubmate Denis Shepherd ran 2:01.0 in Dundee. Now, in 2017, 41 years later, it remains the second best time by an Aberdeen AAC M40 for the distance. Later that summer he won the British Veteran’s 800m title in a time of 2:01.5. That season he also ran 55.7 for 400m at Balgownie on 4th April, and 4:12.2 for 1500 on 9th May in Dundee. 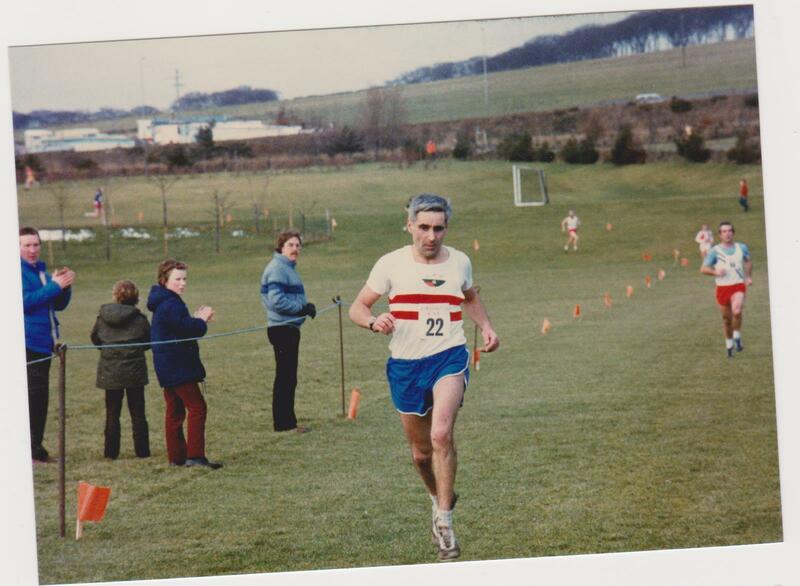 In 1977 he won the Scottish Veteran’s 1500m title on in a championship record time of 4:12.6. He ran 4:12.2 on 9th May 1977 when representing the club in a meeting of the North Eastern League and this placed him 19th equal in the 40-49 rankings for the distance. This was an official time but on 12th June 1977, he ran 4:08.0 in a Scottish League Division 1 Match at Coatbridge on 12th June. Here he finished out of the first three and the time is an unofficial one, taken by a club member. This, of course, meant that it did not count for world rankings. Because of injury niggles he did not compete again in a championship event until 1986. 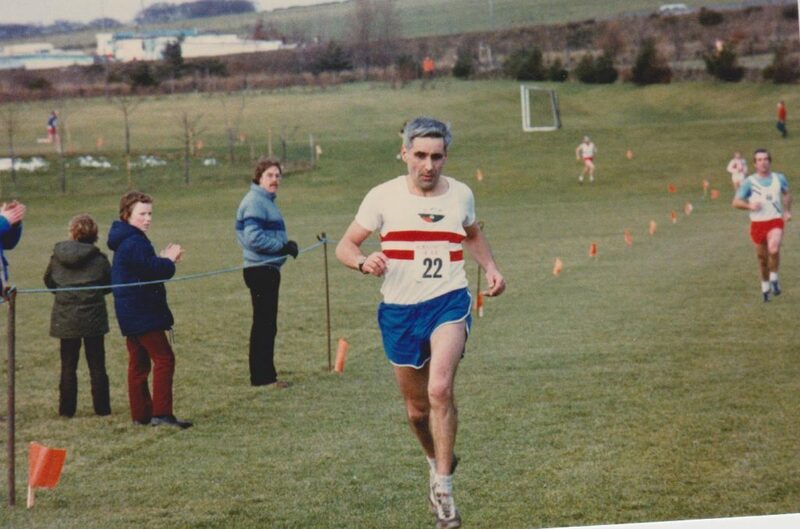 In that year he won the Scottish Veteran’s 800m over-50’s title in a time of 2:14.7 at Dundee on 29th June. In ’86 he also ran a 1500m in 4:37.8 at Balgownie in the club championships on 30th August. We have then three Scottish and one British veteran championship victories – three of those in two summers, and two of them in record time. One of the interesting things about these is that they are at the same distances as he was running as a schoolboy of 15 in 1951. Most endurance athletes tend to go up a distance or several as they grow older but Hunter must have looked after himself throughout his career to be able to set records at his original distances. In the picture below, we see him at the age of 47 in a race where he finished 23rd in a strong field of veteran cross-country runners. Scottish Vets cross-country in Aberdeen in February 1983. Although injury problems in 1987 led Hunter to conclude that it would be prudent to stop competitive running, he remained active. In particular, he continued cycling and was pleasantly pleased to discover that at 80 years of age he was still capable of going for cycles of up to sixty miles, albeit at a much slower pace than when he was younger. The ability to still be able to cycle significant distances well after joining the ranks of the elderly is only one of the things that gave Hunter satisfaction. Another is that not only is his elder son, Bill, still an active athlete but Bill’s wife and both of his daughters are also. In fact, Bill’s wife, Ruth, is also a coach as is Bill’s younger daughter, Rachel. Athletics, therefore, remains one of Hunter’s great interests. When I was a student at Aberdeen University, Hunter Watson once beat me in a mile race on the chunky cinder track at Linksfield, Aberdeen around 1967. He simply trailed me unobtrusively until unleashing a tremendous sprint! After that tactical lesson, I ran the first three laps as hard as I could and moved safely out of his reach. He had of course been a Scottish One Mile medallist in the 1950s; and won Scottish and British Veterans track titles when he turned 40. I remember him advising me to breathe only through my nose as I raced. However I continued to use mouth and indeed ears as well! As a middle distance coach of AAAC, he organised many track repetition sessions for athletes who performed very well over 800m and 1500m – but few had the stamina for 5000m! He was a well-respected long-time Secretary and had considerable influence on the club, due to his meticulous organisational skills and encouraging journalism in the club newsletter. Largely due to his influence, AAAC developed into a marvellous club for young athletes; the seniors won many national road and cross country team medals; and had great success in track and field leagues. In his early 80s, Hunter remains fit, healthy, clever and determined.